Jingle All The Way at CHOM! Create a Reindeer Ornament! 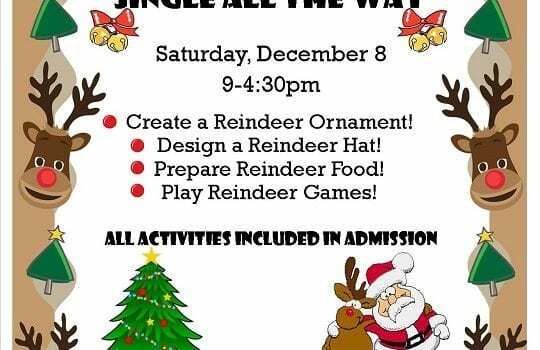 Design a Reindeer Hat! Prepare Reindeer Food! Play Reindeer Games! All activities included in admission!